Using a Self Serve Approach for Contact Center Assessments | The Taylor Reach Group Inc.
Today, every Customer Service organization deals with between 350 (being the absolute lowest) to 700 different variables when it comes to managing and running a Contact Center. Call Centers are complex and have evolved substantially from what they used to be, thus also being known today as the Contact Center, Customer Engagement Center, Customer Support Center etc. Today, it is less than art form and more of a science. You need structure when you’re working within a Contact Center. This is why we now need to be looking at Customer Service in a structured fashion. For all Customer Service heads who want to drive their Centers forward and understand how they can manipulate to get ahead, a structured assessment is critical. Without structure, it can be more difficult to see dependencies and relationships. The structure allows us to understand the complicated web of dependencies that constitutes all Contact Centers. Service delivery management has to be measured. Organizations and Contact Centers can say they have won different awards or engaged in specific optimization initiatives, but really, consumers, the boards, and governments want to understand how customer service is being delivered. Governing and managing bodies and organizations want concrete measurables. 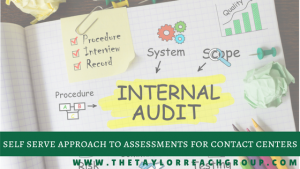 To gain that understanding, you need a structured audit or assessment process that can be consistent and compatible with multiple centers, geographies and assessment periods. Once you have got this degree of assessment, you can embed within the organization a continuous improvement process program as well as a management ethos. One of the most effective structured audit programs for contact centers is Snapshotz. 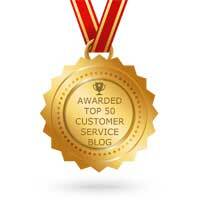 Snapshotz places a strong focus and advocacy on structure within Customer Service. Even for someone who is new to the Contact Center space, Snapshotz allows the end-user to assess the thousand moving parts within the Contact Center from an organized and structured approach; breaking down Contact Center operations into 8 sections and 29 sub-sections. Snapshotz for the end-user is a straightforward method of being able to collect critical information about where the center is operating today. This is a diagnostic tool where you are able to benchmark the center against a variety of best-practices in comparison to other centers, industry, geography, size and a variety of other factors. Snapshotz should take 4.5 – 8 hours to complete when all of the relevant data is available. Various sections of this tool can be shared with multiple associates within the organization – with the work divvied up, each associate within the Contact Center should only have to dedicate about 1-1.5 hours on completing their section. This is particularly useful for areas such as technology, strategy, and people, where external resources or departments may hold the data. Another major benefit of this tool is the ability to employ when planning a major transformation in the center. The comparator can be yourself. If your organization is undertaking significant changes in the year and want to be able to validate the changes and effect of those changes beyond simple operational metrics, Snapshotz has the overall effect on the operation by being able to compare your performance today, to some point in the future. Typically, organizations purchase 2-3 Snapshotz licenses over the course of 18-36 months and this allows them to validate progress and improvement in their centers up to 700 data-points and highlight areas where you are not able to effect change. Snapshotz provides a structured assessment process over the 700+ variables. It allows you to identify center maturity and facilitates identification of tasks and opportunities for improvement. Risks to the center identified by Snapshotz can be more effectively managed and ameliorated. Snapshotz allows organizations to view total results in terms of comparing with best-in-class Contact Centers and easily identify how you compare. Year over year progress against the best practice can be charted and proven easily, especially if the subscription is renewed annually. This allows end-users to see where improvements have been made and where they need to prioritize effort and resources for future improvements. Snapshotz automates this process for the end-user in that it will prioritize and show an organization which areas of the Call Center have the largest disconnect from best-practices and which areas are just shy of best-practices. There is one important caveat to keep in mind when employing Snapshotz. Because this is a self-serve assessment, if the end-user doesn’t fully understand the questions being asked, questions may be answered incorrectly or marked as ‘not-applicable’, both of which can affect the score and mean that the results may not be a true reflection of the Contact Center. Knowingly, or unknowingly, you can make your center appear much better or worse than reality. This is where consultants and consulting firms, such as Taylor Reach Group (TRG), are able to assist. Consultants can validate data being entered into Snapshotz, either on a sample or comprehensive basis. Both of these approaches can improve the organization's confidence in the data entered and the resultant report. When TRG performs Contact Center assessments, coupled with Snapshotz analysis, our consultants actually go on site to validify the data-points that Snapshotz addresses. If you don’t understand what you’re being asked and what you’re answering, it is likely that you also don’t understand what the report means. This can be another challenge for the end-user. Once again external guidance and support can be beneficial here. This is a diagnostic tool. It is not prescriptive – it will not look at your future vision of the center and tell you what you should do, where you should go, the sequence in which you should do it and where you will get the biggest bang for your buck. This is the benefit of using consultants. Many end-users have a difficulty because relatively few of them have seen other centers or know how else to operate. Because of this, they may not have the breadth of experience to understand what of the key levers to operate within the center. Snapshotz doesn’t have the ability to say “if you focus on this it will have an overall effect on the areas you are trying to optimize”. For example, if you are running a Call Center with a high occupancy rate (a measure of the amount of talk time an agent is expected in engage in as a percentage of their total available time), we know intuitively that this type of occupancy level, over time, raises the stress levels of agents dramatically. There is a fairly narrow band between operating effectively and efficiently, and operating too effectively and too efficiently which can ultimately increase agent stress, dissatisfaction, and turnover. Snapshotz does not show this however, a consultant is able to analyze a center and the numbers buried inside of Snapshotz, with external data, and establish the reasons for high turnover as not being to be connected hiring or training, but rather because you are stressing out your agents to such a degree, consistently, without remint or pause, that they quit. Without the breadth of experience, it can be difficult to look the numbers generated from Snapshotz and understand what they’re doing in the center and why they have achieved the scores they have. Snapshotz can help you to diagnose – it will tell you where the problem is. It will not identify what the problem is or the solutions – that is the role of a consultant, somebody with outside expertise or someone with years of experience in the contact center as for example, a senior officer. The Contact Center environment is very complex and it needs a structured assessment. We need to be able to get to the core issues quickly with the opportunity to act in a timely fashion in order to keep pace with technology advancements, social trends and the thousand moving parts within the Contact Center. We also need a structured process to work through the tasks to drive continuous improvement that can be easily measured; Snapshotz as a tool is a great enabler for centers to achieve this. There is also recognition for centers, through the Snapshotz certification and accreditation program. However, much more powerfully, is the response from their customers – the feedback and Customer Experience – that a structured program really offers. At Taylor Reach, we have employed Snapshotz hundreds of times on numerous client engagements. It is a valuable tool by itself and can be invaluable when augmented with deep domain expertise.